I've tried to run the dashboard.xhtml file in my own application, everything is working fine except the color change for the dashboard menubar as per below screenshot. why the color not changed to blue like all other elements ? 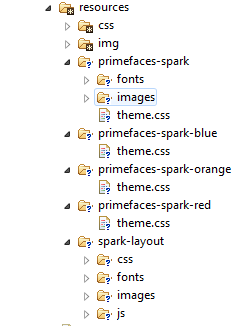 I can't replicate at http://www.primefaces.org/spark/dashboard.xhtml. 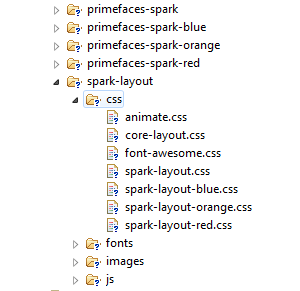 Please check "spark-layout-blue.css" and "primefaces-spark-blue/theme.css". I've double checked my resources folder and it seems it is fine. The problem happens only with the upper menu and topmenu part of the page. please check below screenshot with expanded items. The issue is happening with all colors, the green is fixed color for all top elements even if I changed the name name in the web.xml. Thanks so much Optimus.prime the issue has be resolved.